Massage Therapy and Bodywork sessions are influenced with Traditional Thai Massage and Sacred Lomilomi bodywork. The focus of each session will be to find your comfort level, release muscle tension, and bring the body in balance with the mind. A simple and effective approach to healing. This is an ancient form of healing from Hawai’i. 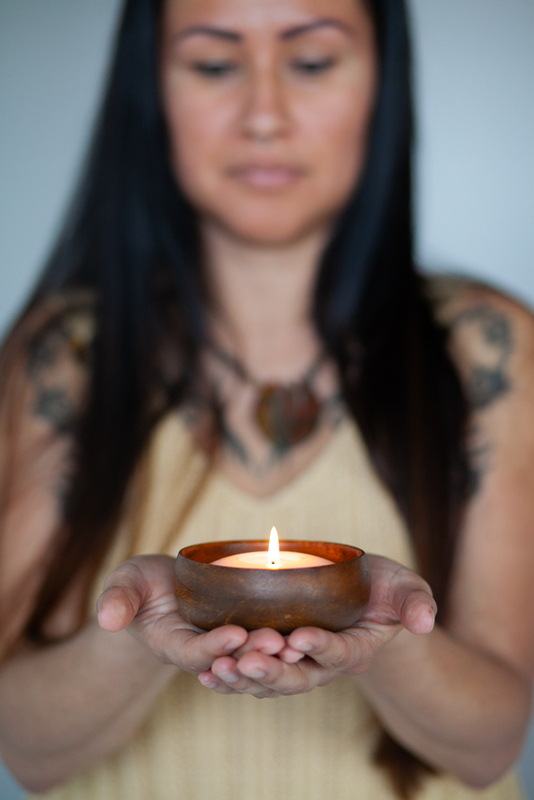 Lomi lomi is a deep healing practice passed down through generations with the most respect. It is a true way of life. There are many dimensions and aspects to name. If you are interested I will meet with you and we can go from there. Your two and a half hour session will begin with a light dry brushing all over the body. This stimulates the lymphatic system which primary function is to remove toxins from your body, this will also exfoliate a thin layer of dry skin to prepare for the mineral rich salt scrub. The salt scrub will not only continue the exfoliation process, it will allow the skin to absorb the minerals it needs for overall vitality. Last but not least the warm detoxifying mud wrap. This is the most relaxing part of the body treatment, the mud will be brushed on evenly throughout the body, including the abdomen. As the mud dries it pulls the toxic waste up and out. Simple science. For your first session plan on arriving at least 15 minutes early to fill out the client intake form. The therapist will go over the form with you and possibly ask further questions to help determine your health and wellness goals for the session. Physical condition, medical history, any physical areas of pain, medications, allergies, and stress levels will be discussed to determine the structure of the massage. Before your massage, the therapist will ask you to remove clothing to your comfort level. The therapist will leave the room for a couple of minutes while you undress, lie on the table, underneath the sheets as instructed and relax. Music will be played to help relax the mind, let the therapist know if the music is a distraction or not to your taste. You may communicate as necessary throughout the massage, that is your choice. The therapist will ask if the pressure is comfortable for you. Oil or lotion will be used during the massage, if you are allergic, let the therapist know beforehand. When the massage is complete, the therapist will let you know and will give you time to slowly get up and get dressed in privacy. The therapist will then offer you water. Any feedback is greatly appreciated. As with any service, tips are appreciated but not required. Office visits for 15-Minute Chair Massages are available. We will accommodate larger groups. The licensed massage therapist has the right to end any session if there is inappropriate behavior. Prenatal massage is typically a lighter more relaxing massage. I have found most pregnant women in their second and third trimester are just fine to have more pressure as long as there are no complications with the pregnancy. We can talk and do what is best for each woman. If you are close to delivery date I can work reflex points on the feet to help stimulate contractions.